MAKE THEM LOOK! MAKE THEM CALL! MAKE THEM COME! Home shoppers move quickly through websites viewing lots of properties in the hopes of finding their dream home. So, how do you make them stop and shop your ad? DESCRIPTION: Keep it concise and to the point. Avoid writing a flowery novel about your wonderful life in your home. Your life might not reflect their life at all and you’ll actually cause them to move on. (ie: We have loved our friendly neighbors and neighborhood gatherings blah blah blah). If they are loners and don’t like to be bothered, they are not coming to see your home. Share your strongest highlights and details and be done! BE REACHABLE: Nothing worse than being interested in a home and never being able to reach the homeowner to ask questions or schedule a viewing. Remember, your buyers are shopping electronically so they will most likely want to email you, call your cell phone or text you. If you can provide all three forms of communication, your results will be faster and stronger. BE AVAILABLE: The more flexible you are with showings, the higher your odds of finding your buyer. If they can never coordinate with you to view your home, well, then they will buy someone else’s. These might seem like obvious tips but sometimes the most obvious gets lost in the overwhelming task of selling your home. So before you become overwhelmed, do four simple things. Prepare, relax, show and sell!! STAGING DOESN’T HAVE TO BREAK YOUR BANK! You’ve heard it on TV, from realtors, in magazines, etc. that in order to sell your home you need to stage it. It appears in many venues that in order to do this effectively, you need to (1) hire a staging company (2) re-decorate your entire home (3) remove everything that has any personal meaning to you at all (4) move out. None of these are essential and can be so costly that you never recoup what you’ve spent. If cost is not a factor for you and you want to go the professional route, go for it! BUT if you need to keep your expenses down so as to reap the most profit from your home’s equity, here are a few ideas to help you create a warm, inviting and saleable home! CHECK OUT MAGAZINES & CATALOGS: If you don’t have one of those friends, grab the most recent magazine that focuses on your style of home (Cottage, Traditional, Contemporary) along with Pottery Barn, Crate and Barrel, etc. magazines and websites. Look at how they have created their spaces and using your own items create the same ideas. 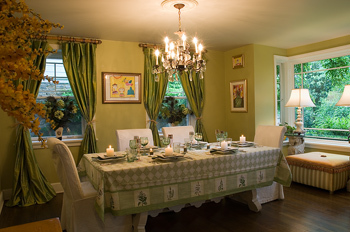 (ie: Set your dining table as if you’re hosting a dinner party. If you have a breakfast bar counter, set that as well. Fill vases with fresh flowers right before a showing and for photos) Also, have fun walking through model homes. These are professionally staged. If you see an idea that you’d like to duplicate in your own home, use your phone to take a pic to refer to later. All these sources offer lots of ideas. Just make them your own! DE-CLUTTER TO CREATE A STARTING POINT: The obvious starting point to all of this is to declutter and clean. Sometimes, that alone will change the entire ambiance of your home. Even if you don’t have a ‘decorator’ friend, you probably have one who will honestly walk through your home with you and let you know what jumps out to them as ‘issues’. Just like I said previously, it’s hard to be objective about your own home so keep your mind open to their suggestions. Go room to room with a note pad jotting down what needs to be removed, moved, cleaned or enhanced. This way you’ll have a list to work from once you get started. This will save you from roaming from one space to another without focus causing you frustration instead of satisfaction. 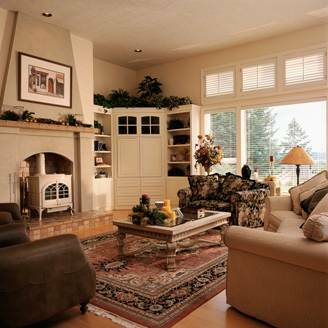 FOCUS ON THE MOST IMPORTANT FEATURES: Try rearranging your furniture to create a more spacious layout. If your furniture looks worn, purchase a sofa or chair cover to freshen up their appearance & add a throw across the back. Dining table beat up? Add a nice tablecloth and then set as described above. Clear off your counters, shine your windows and mirrors, dust or wash your window treatments, minimize personal photos but retain artwork, stage your coffee table with design magazines & a candle setting, organize closets & closet floors. Instead of putting down new carpeting or wood floors, clean what you have. If they need to be replaced, consider offering an allowance instead of putting the money out of pocket. There’s nothing worse than seeing all that new carpeting out at the curb because your buyer wanted hardwood floors. Make sure your listing notes the allowance being offered so the buyer can get excited about getting the floors they want instead of focusing on the ones that are there. REMEMBER WHAT THEY’RE BUYING: Remember, they’re buying your home, not your stuff. When they arrive or view it online, it’s just another house. Your goal is to create the setting that causes them to walk through and believe that this could be ‘their home‘. HANDLE SPONTANEOUS SHOWINGS WITH EASE! Fact: If you live in the home you’re selling, then sometimes your home looks “lived in”. So what do you do when the phone rings and a potential buyer wants to come through and all you can see are dishes in the sink, sports equipment and kids toys on the floors and laundry waiting to be done? Assuming you don’t have a live in cleaning person (we can dream, right?) then do a few quick pick me ups that won’t take too long to complete and will provide your prospects with a positive experience. If your home is too far gone, then try and give yourself some extra time to get it ready. Let the prospect know you can accommodate them in 2 hours (instead of in 45 minutes) and that you’re excited for them to view your home. You don’t want to miss out on a showing BUT the reality is even though; when you say, “please excuse the mess” and the buyer says, “oh that’s ok”…. IT’S NOT. Keep in mind, to a buyer, your obvious mess implies that there is probably an even bigger hidden mess under the stove, behind the refrigerator, etc. Purchase some stackable opaque storage bins that you keep empty so you can thrown in items that need to disappear at a moment’s notice. They can then be closed and neatly stacked in the basement, garage, or storage room during your showing while giving you easy access to those items once your ‘guests’ leave. First Impressions Are Lasting! Move any clutter or shoes from the entryway. Even if you have a coat tree, take the coats off and put them in the closet. Perhaps put a great looking hat & scarf on the tree for style but a pile of coats minimizes the viewable space. DON’T throw everything on the floor in the closet. This will cause the closet to appear smaller than it is and buyers definitely will open your closets. Dirty laundry? Throw it in the washer or dryer. Just get it out of view. Focus on Main Living Areas: Your top priorities should be the Kitchen, Living/Family Room, Master Bedroom and Bathrooms. 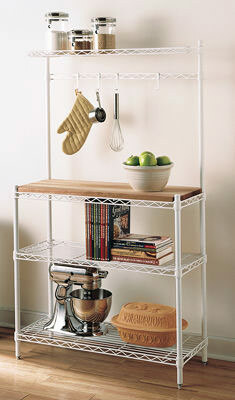 Kitchen: Empty the dishwasher daily so it’s always ready to be filled quickly. Clear your counters stashing everything except maybe your coffee pot. Remove stuff from the top of your refrigerator to reveal the cabinets above and take EVERYTHING off your refrigerator door and sides (might be special stuff to you…to your prospect it’s just clutter). Wipe down your appliances and floors (good to keep a swiffer type product handy…dry and wet for a quick swipe). Living/Family Room: Vacuum carpets (just the areas that can be seen is fine) or wipe down wood/tile floors. Especially important if you have pets. Floating pet hair is not a good look and might be a problem if your buyer has allergies. Swiff away! Stash photos, magazines, etc. in one of those handy storage bins or if you have sofas with skirts just slide it all under the sofa and loveseat. Master Suite: This is a very important room. If they love the Master, the other bedrooms become far less important. Let them see how much they’ll enjoy this private retreat. Get in the habit of making your bed every day so all you need to do is refresh the floors, hide the clutter (good reason to have a bed skirt….under the bed is a great hiding place)and give your table and dresser tops a quick wipe. Make sure your Master Bath is fresh, luxurious and reveals all its special features. Clear vanity tops and shower shelves, shine shower doors and mirrors. Add a lightly scented candle. Bedrooms: Same as Master. Let your kids know that they need to make their beds every day as well. Toys, videos, books and clutter can be either put under their bed or thrown in a bin. Baths: Clear vanity tops and shower shelves. Make shower doors and mirrors shine…no fingerprints or grime. Neatly hang fresh towels. Light a scented candle or give the room a fresh spray of something light with a linen or ocean scent. Toilets need to be clean, fresh and make sure the toilet seat cover is DOWN! Make it Smell Fresh! Nothing feels more like home that the wafting aroma of baking bread. No time for that BUT it only takes a moment to place a tbsp of vanilla, almond or pumpkin extract on a piece of aluminum foil and put it in your oven at 250. Within a very short time your home will smell like you’ve been baking all day! Don’t use a lot of candles as that might imply that you’re trying to hide pet or other odors. TIP: Enlist the whole family to help keep your home buyer ready and save yourself from feeling overwhelmed. Make a habit of swiffering your floors & dusting off tables daily as you walk through a room, loading and unloading the dishwasher, keeping the laundry up to date and put away, beds made and clutter in bins. Keep the front and top of the refrigerator clear. Put off season clothes in bins allowing for a more spacious view of your closets. Yes, you still live in your home but there are ways to make the spontaneous showing experience less stressful by keeping on top of things that can remain ordered. When you’re deciding on the best way to showcase your property to prospective buyers, keep in mind that the internet is very visual and people have highly visual expectations. Before they read a word of your description, most buyers will peruse your photos to see, firstly, if they are even remotely interested in your property. If the photos entice them to learn more, then they have done their job and you are a step closer to someone becoming seriously interested in your home. The purpose of your advertising, like any other advertising of a product in the marketplace, is to give potential buyers the reasons to choose your home over others also available. Therefore, the quality and content of your photography is very important. There are ways that you can maximize both. First, show as many photos as possible. Internet shoppers want to see as much as they can ahead of time. They shop the internet for convenience and ease of process. If you state that you have 4 bedrooms but only show one, you are leaving the reason why you didn’t show the others up to their determination, such as: “wow the other bedrooms must be really small” or ” the other bedrooms must not be very nice” otherwise why wouldn’t they show them. Neither might be true but that doesn’t matter. If your buyer lives across the country or on the other side of the world, (yes, your BuyOwner.com exposure offers buyers access to your home 24/7 from anywhere in the world!) they are less likely to ‘stop on by’ to see about the other rooms. They will go on to another home that does show them what they want to see. Regarding the quality of your photos, minimize eye distractions. The fancy towels might look great on your oven door but in a photo they distract the eye from looking at the room and instead bring their attention directly to the towel. You might love all the photos on your fireplace mantel BUT what you want to showcase is the fireplace & mantel since that’s what they are buying with your home. Remove other eye distractions such as remote controllers, pens, paper, newspapers, mail, keys, phone cords (or any cords), dishes in the sink or on the counter, etc. A simple way to prepare for your photography is to stand at the entrance to the room being photographed. Look out of the room and then look in. If your attention is drawn to something instead of the room, that’s what needs to come out for the photograph. That might mean pulling out some furniture so that you are able to show more floor space. see a lot of floor. 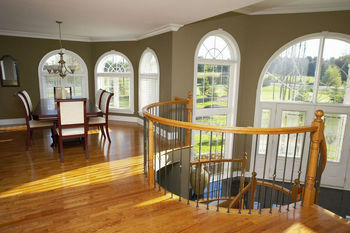 If you have hardwood floors, make sure the window treatments are open and the sunlight is pouring across the wood. Beautiful! Remember, photos create your home’s first impression to your prospective buyers. And the never fail thing about first impressions is they only happen once! 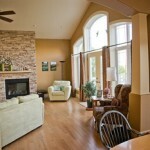 Maximize your photography and by doing so, you will maximize your home selling opportunities! It is no surprise that patience helps us make better decisions. This is a fact that most of us would agree with on the surface but have often pushed out of our thought process. The media continues to tell us how dismal the market is, how awful our timing is and how distressing our home selling future is sure to be. This has caused many people to not even attempt to get what they want for their homes, jump the gun on offers and assume that something is always better than nothing. And sometimes, it is. BUT sometimes, it is important to realize that just because the market is not moving as quickly or climbing as high as it was before, that does not mean that your home sale is hopeless. Listen to your gut more than the media. Take an honest walk through your home with a trusted friend or family member and assess what you can do to make it more desirable to your prospective buyers. A quick coat of paint or a little elbow grease cleaning up fingerprints on your walls and trim can make a world of difference. Before you paint an entire room, check out the trim. Sometimes by simply giving the trim a fresh coat of paint, the entire room looks refreshed. Power wash the exterior walls, deck, patio, sidewalks and driveway. Wash your windows inside and out. Plant some flowers. Move all your clutter to a storage bin or have a yard sale and eliminate it all. And, oh by the way, while you’re having your yard sale, make sure and have flyers of your home handy to give out (better still, put one in each bag of items that leaves your yard!) 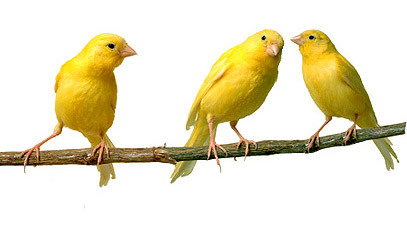 You don’t know who your buyer is, you don’t know where they’re coming from and you don’t know when they will arrive. They might be someone’s best friend who is moving into the area. Also, while you’re having your yard sale, have your spouse or friend ready to take over the sale while you show your home to prospective buyers that might just show up that day thinking they are buying your ‘stuff ‘ and instead buy your home! Do everything you can to make your home buyer ready. Take advantage of BuyOwner.com to help you reach the most potential buyers in the shortest amount of time, in the most effective way (the Internet!) and also the most cost effective way (No Commission!!) so that you can take your hard earned equity with you. Then, remember the power of patience, realizing that though it might take time to find your buyer, there is a buyer for every home….including yours!